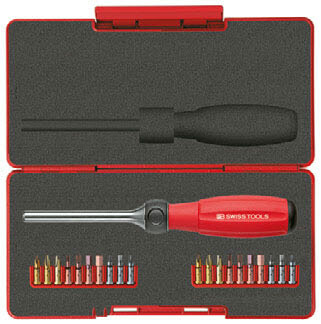 Twister® - bit holder with ratchet for Precision-bits® C6 1/4", set in practical Tool Box. With 3 functions : left turning, right turning and locked position. With 20 Precision Bits® for Slot, Phillips, Pozidrive, Torx® and hexagon socket screws.